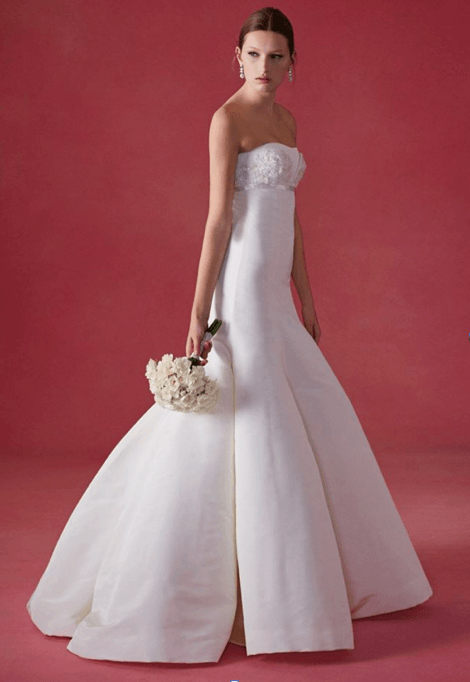 Oscar de la Renta Fall 2016 Trunk Show at L’elite Bridal 3/11-3/13! 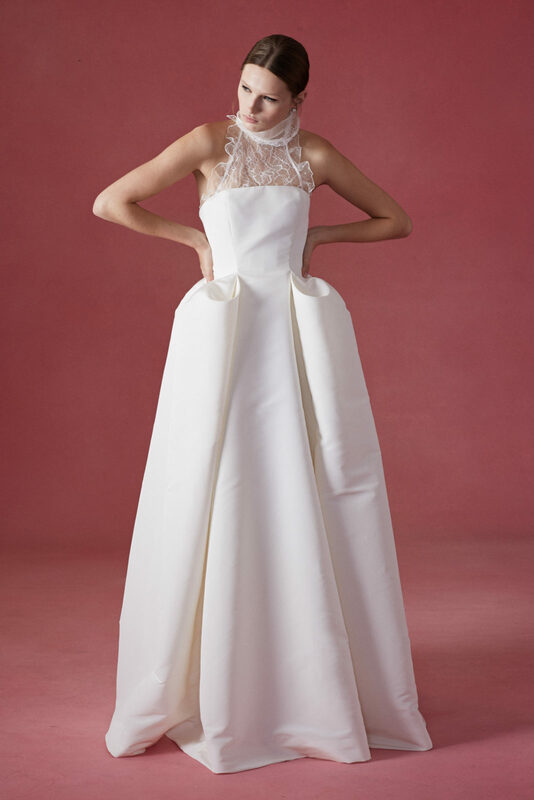 L’elite Bridal is thrilled to be showing the sophomore collection by Peter Copping—successor of Oscar de la Renta Bridal Collection —March 11-13, 2016 at our trunk show event. This distinctive collection for Fall 2016 embodies structured simplicity that’s modern and timeless. 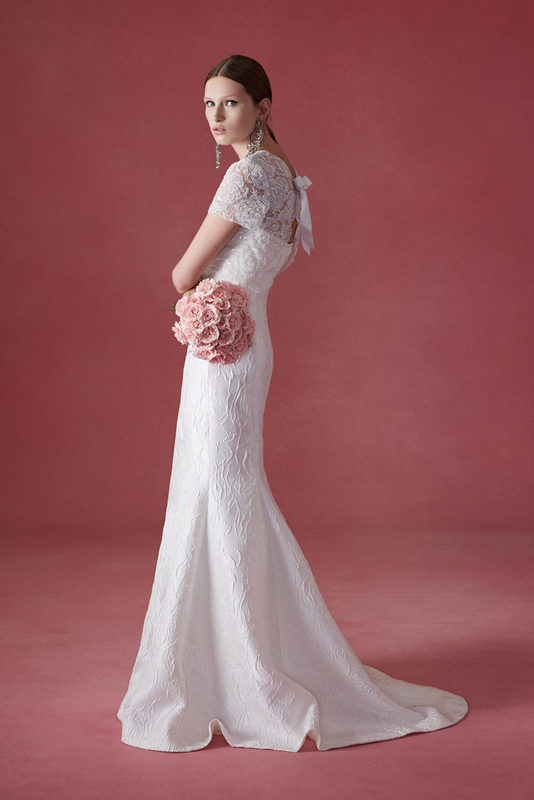 Copping’s romantic designs put a fresh spin on Victorian-era necklines and his use of intricate lace and embroidery exude elegance that remains true to the style that the brand is renowned for. Featuring petal-like bodices, diaphanous bateau necklines, and sweeping tulle skirts, the collection is breathtaking. Simple or ornate, these gowns will not disappoint—exuding pure, refined glamour. Here are some of the gowns you may see at the trunk show, but please note that this is a representation and not all dresses may be at the event. Oscar de la Renta Bridal Fall 2016: “Farah” Intricate detailed sweet heart bodice, silk faille fitted gown with voluminous tulip pleated skirt. Oscar de la Renta Bridal Fall 2016: “Fawn” Signature Italian silk faille with detachable corded pansy lace and silk organza dickey. 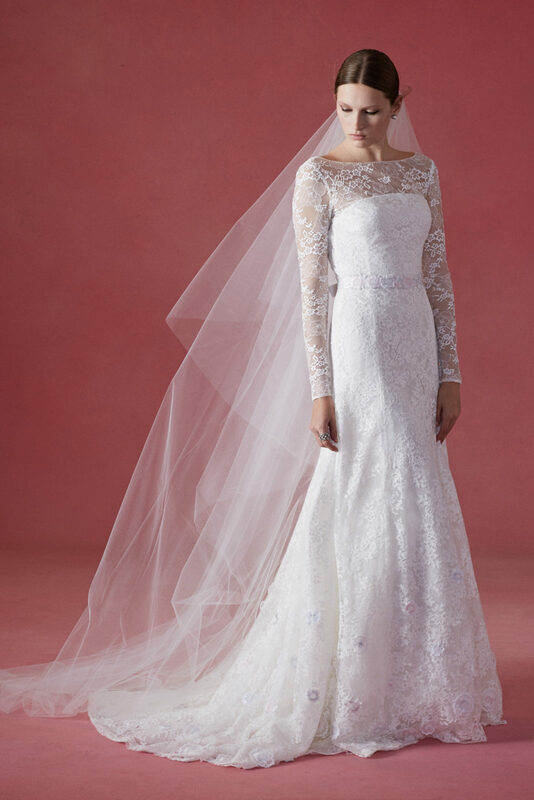 Oscar de la Renta Bridal Fall 2016: “Faith” Illusion sleeve silhouette, modified A-line shape that’s adorned with intricate thread work and embroidery-featuring floral appliqués that are individually cut and hand-sewn, deep V-back falls into a graceful chapel train. 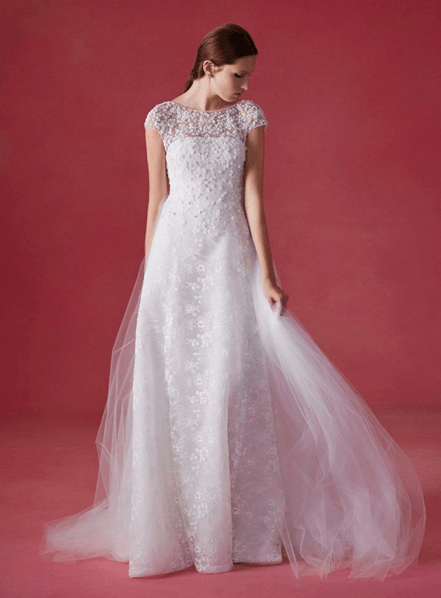 Oscar de la Renta Bridal Fall 2016: “Farren” Cut from an enchanting petit floral Chantilly lace, this classic A-line silhouette impresses for its striking mix of botanical motifs stitched in a falling flower design with dimensional blooms and seed beads. Tulle Watteau-back for an unexpected surprise. Oscar de la Renta Bridal Fall 2016: “Flora” Empire waist bustier detailed with silk organza petals, spaghetti strap bodice, silk faille trumpet skirt that flares out elegantly from the hips. 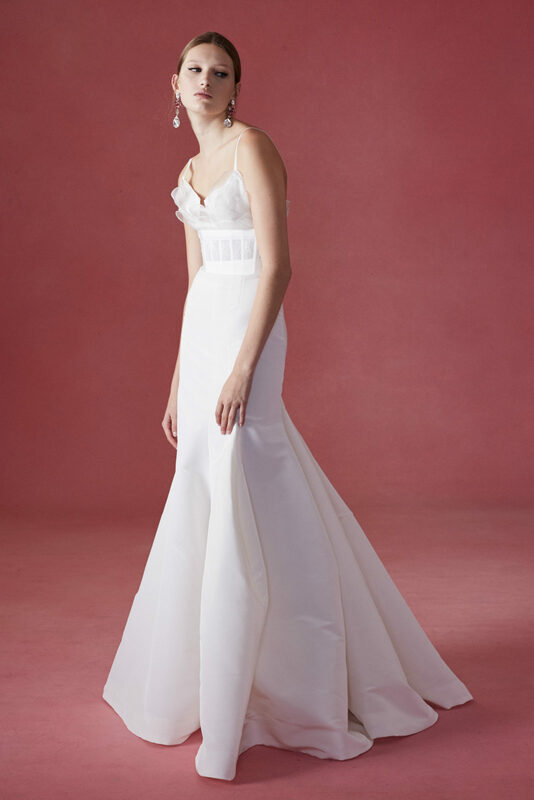 Oscar de la Renta Fall 2016: “Fleur” Cut from structured silk faille, the fitted column dress features a subtle sweetheart neckline and can be worn alone for a minimal wedding day look, or styled with the rosette-laden tulle overskirt for a romantic contrast. Please join us for this extraordinary event and experience this collection for yourself! Please call 617-424-1010 or email bridal@lelite.com to schedule an appointment. We look forward to seeing you.